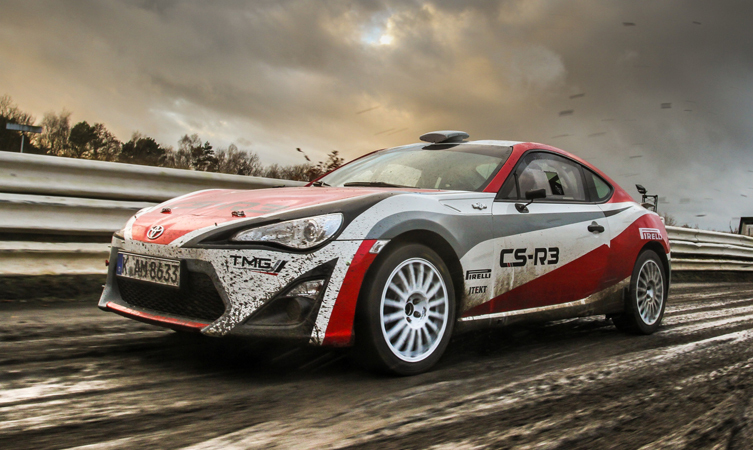 The rally-spec GT86 CS-R3 has been confirmed as one of the big attractions at the opening round of the British Rally Championship, and it’ll be competing with a star driver behind the wheel. Motoring journalist Chris Harris, who has recently been linked with a presenting role in the new Top Gear TV series and is known for his reviews and videos on his Chris Harris on Cars YouTube channel as well as for Drive, Jalopnik and Evo magazine, will be getting behind the wheel on the event’s Mid Wales stages. @tmgofficial @harrismonkey @MSA_BRC great news for the championship and super to see a Toyota out on stage. Worth a watch, top driver. @harrismonkey you're my favorite journalist and you're rallying (my) car. You're not the only one who is ecstatic. Harris and co-driver Brynmor Pierce will get the chance to put the rear-wheel drive CS-R3 through its paces on 5 and 6 March, on some of the rally stages made famous by the British round of the World Rally Championship. Even in its early development appearances at rally events, the newly-homologated CS-R3 has proven a big hit with fans and drivers. RallyPrep, which is based in Cornwall, is running the car in conjunction with TMG. The first GT86 CS-R3 kits have already been dispatched to customers following homologation, and the cars are expected to compete in a range of national championships throughout Europe this year.